We had Lola’s cousin, Misty, come to visit us this week, which is always a joy. For me, at least. The thing about Goldens is they are…retrievers. They LOVE to have retrieved things in their mouths. 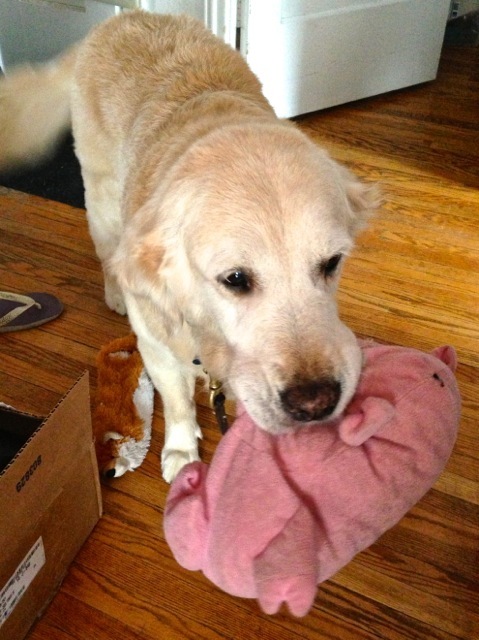 Now Misty generally eviscerates her stuffy toys within days (if not hours) of getting them, but Piggy here is a special case…. 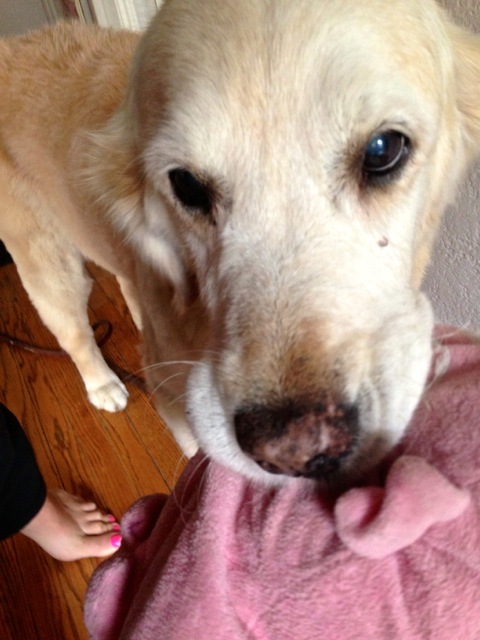 I got Piggy for Misty about six years ago, when LP and I were at dog camp in Vermont, and although he has lost his fabric eyes (and nostrils) to the ravages of Golden looove, he remains shockingly intact. I like to think it’s because Misty knows that Piggy was given to her with love – but I confess that it’s really simply one of the mysteries of life that he still lives. 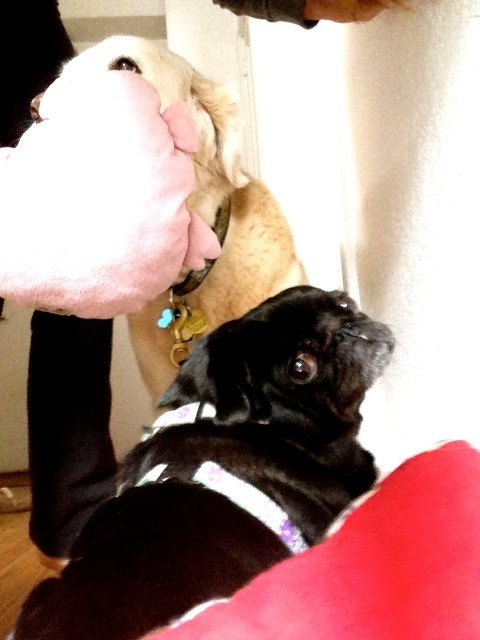 …but perhaps somewhat less endearing if you’re a pug…. Oh, what the poor dear puts up with. At least it makes for a good story. And oh, how she speaks volumes without even saying a word, that little pug. Love dogs that carry their toys, they just want to share the love. Everything about this just made me smile.